The Hoover Company started out as an American floor care manufacturer based in North Canton, Ohio. It also established a major base in the United Kingdom and for most of the early-and-mid-20th century; it dominated the electric vacuum cleaner industry, to the point where the "Hoover" brand name became synonymous with vacuum cleaners and vacuuming in the United Kingdom and Ireland. The Hoover Company in the United States was part of the Whirlpool Corporation but sold in 2006 to Techtronic Industries for $107 million. 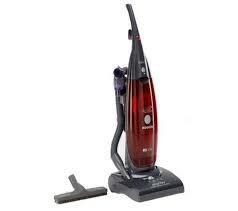 Hoover UK/Europe split from Hoover U.S. in 1993 and was acquired by Candy, a company based in Brugherio, Italy. It currently uses the same Hoover logo Techtronic uses outside Europe with the slogan "Generation Future".